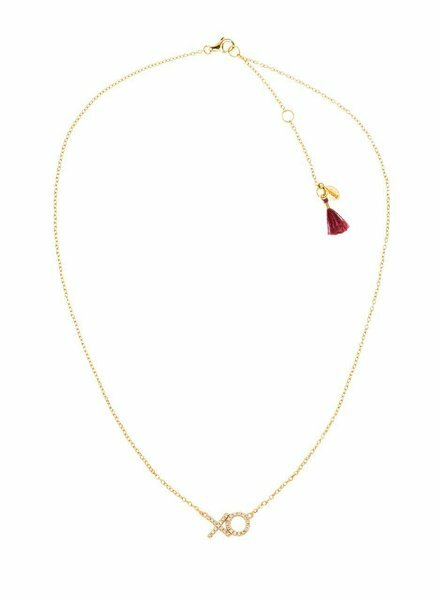 XO micro pave necklace with lobster clasp adjustable length closure. 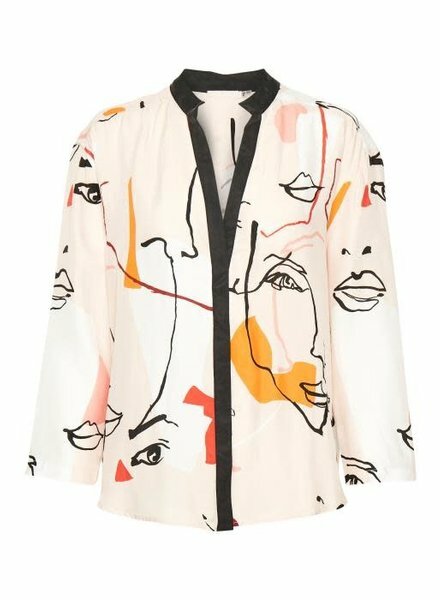 With a loose fit, this cool-printed look has a wonderful airy quality. There is a longer back piece and a false collar lined in black. 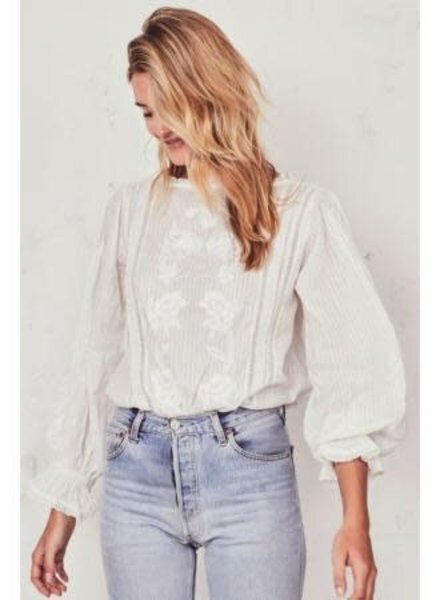 A relaxed fit with a mini flower print all throughout and it hits just above the knee, with 3/4 sleeves and frills at the cuffs and hemline. 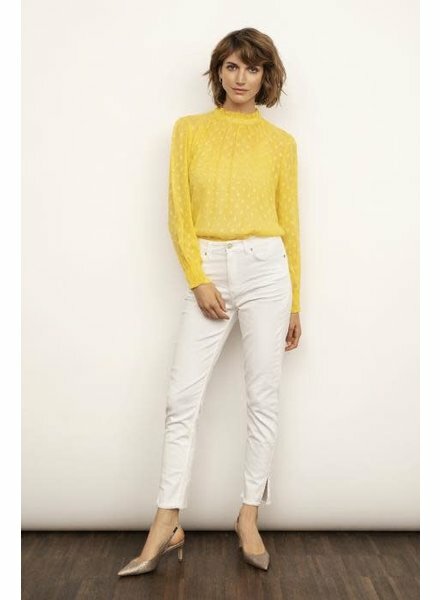 This Part Two yellow Blouse is just beautiful. 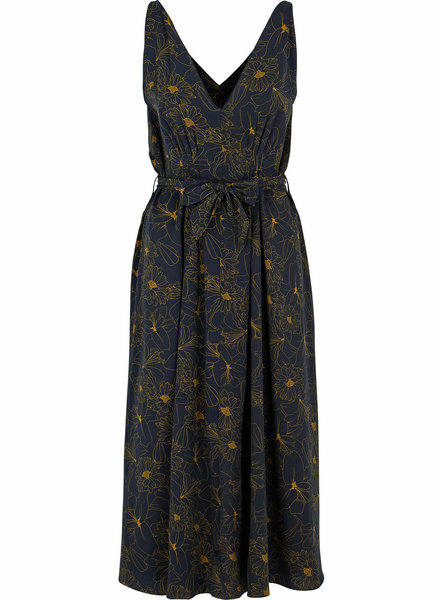 It has a delicate spotty pattern, elasticated cuffs and a high neckline. 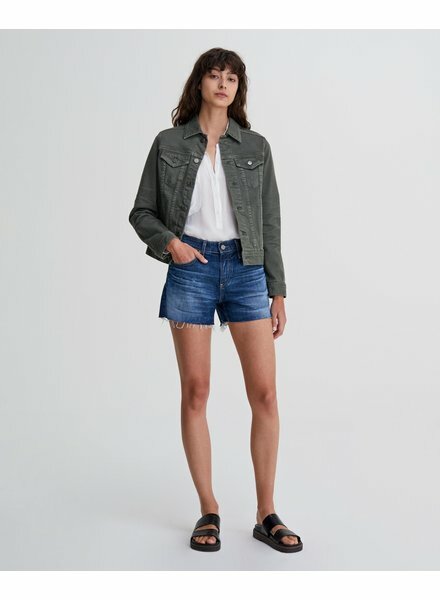 These boyfriend cut offs for women features a versatile medium blue denim wash, flattering high rise waist, relaxed silhouette, and raw edge cuffed hem. It is designed in a lightweight denim with comfortable stretch and finished with chrome hardware. 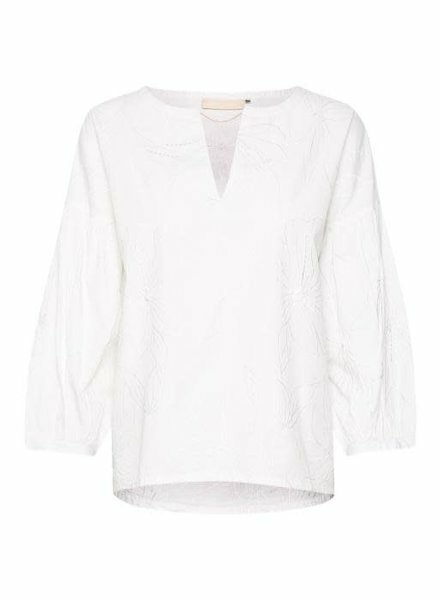 This blouse has a relaxed fit with a round neckline that has a v-slit and a metallic detailed chain on the neck. 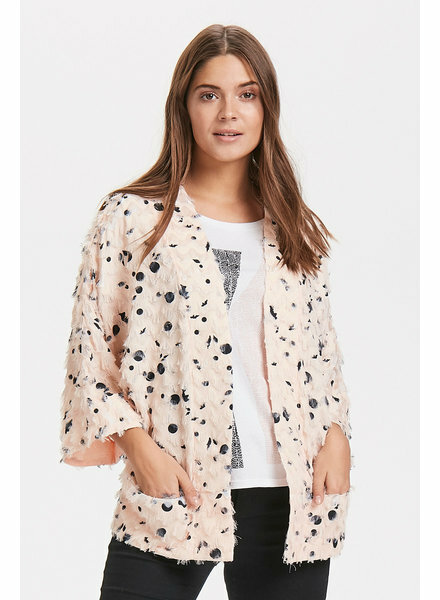 This blazer has a relaxed fit, with 3/4 sleeves, and fringe feather details and a dotted pattern. 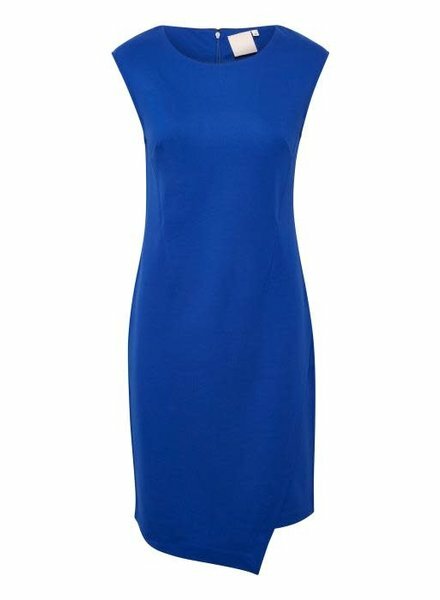 This dress has a classic fit, stretchy quality, knee length with an asymmetrical diagonal panel in the front. It is suitable for every event! This adorable crop top has adjustable straps and an adjustable front tie. The bust lining has panels flaring out from the bottom of each, giving a peak of skin from underneath. 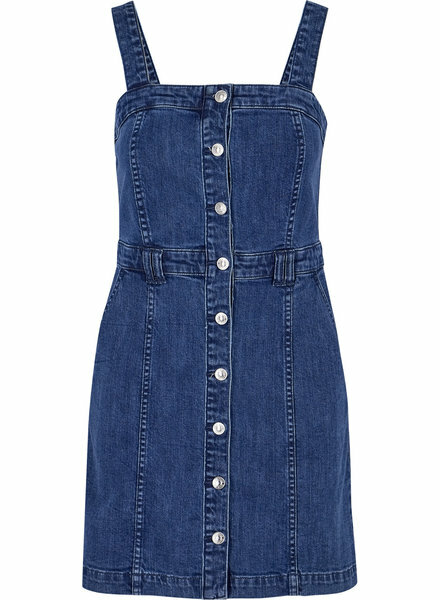 The old school vibes from this denim dress is incredible! It comes with denim straps, silver buttons running down the front center, and even straps for a belt, should you choose to wear one! Dress this up or down. Either way, you'll look classy! The high silts on these wide leg pants give a little sneak of skin and the paneling gives a flattering shape to the legs. 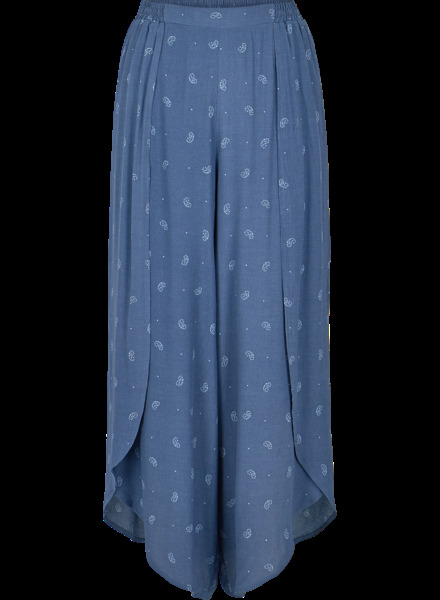 The stretch waistline and light blue colour with white pattern really gives resort vibes. A super comfy and casual button-up cami in a vacation light blue with a light pattern running through. The straps are adjustable for the best fit! This vintage-inspired top can be worn with center buttons at the front or back. It has stripes beneath a floral print. The neckline is lace-trimmed. Long blouson sleeves fall to a cinched elastic wristband with ruffle.